From our partner company AL Creative & Co we began working on websites and SEO for clients three years ago. Together we have amassed several website creation clients along with ongoing SEO clients. Below are a few of the websites we have designed for clients to give you an idea of our work! 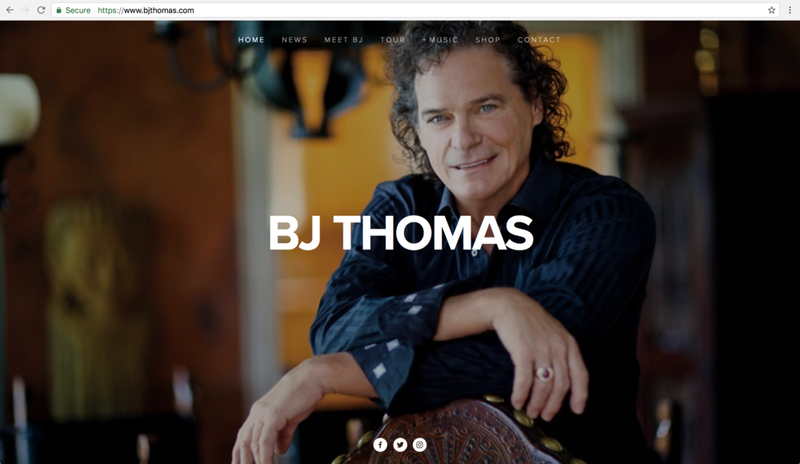 Through a referral we began work with the long recognized BJ Thomas on his new website. During our process we worked with the BJ Thomas team to create a fresh stylized website that could showcase BJ's music and let fans know of upcoming events. This was a very exciting project to work on and our work will continue to flourish in the years to come. Be sure to check out BJ's website! Chad Prather, noted comedian and motivational speaker reached out to our team and we collaborated on his promotional website.